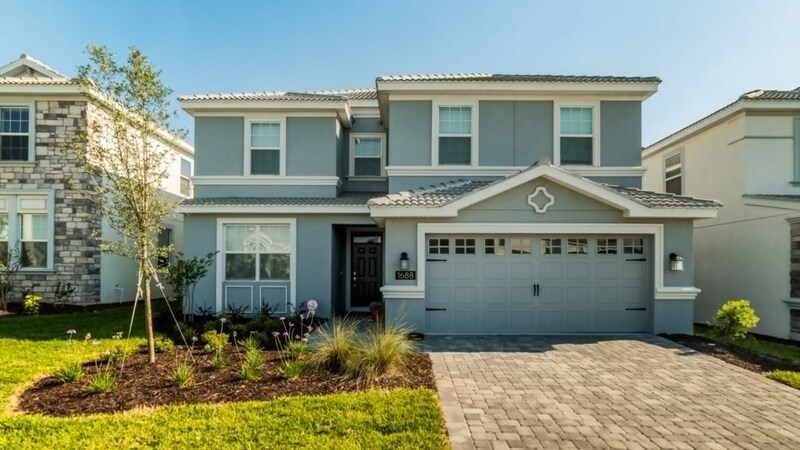 Welcome to this 6 bedroom, 6 bathroom home located in the popular community of ChampionsGate Resort. 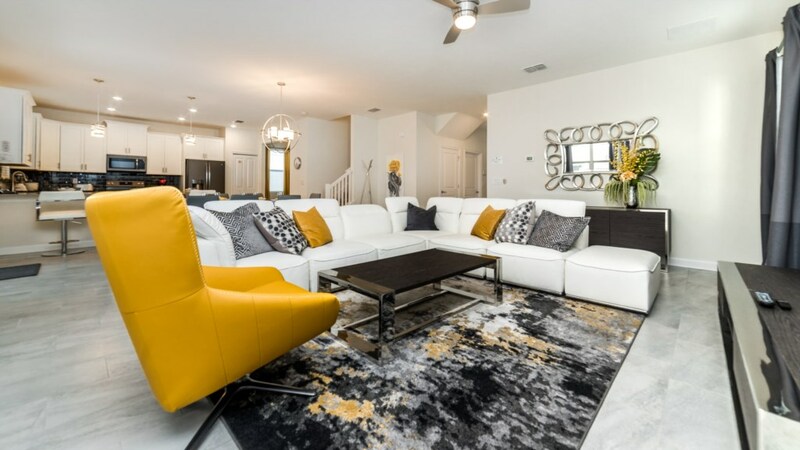 Not only is ChampionsGate known for its stunning vacation homes but the clubhouse is second to none. 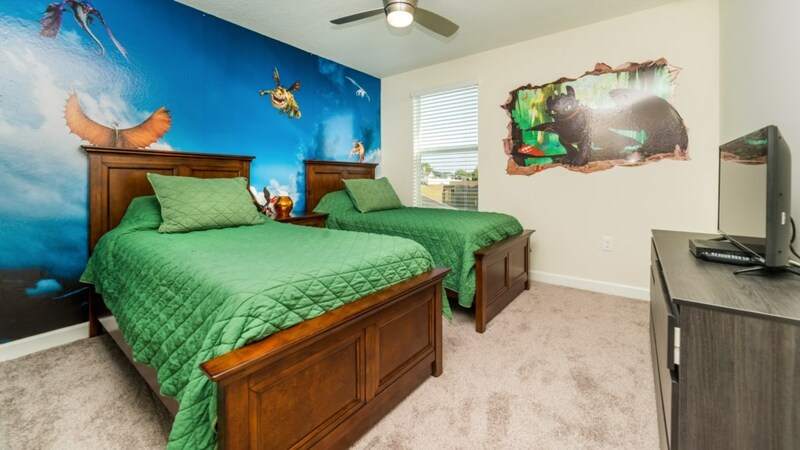 For those interested in water, enjoy the huge gradual entry pool, lazy river, kids splash park and water slides. 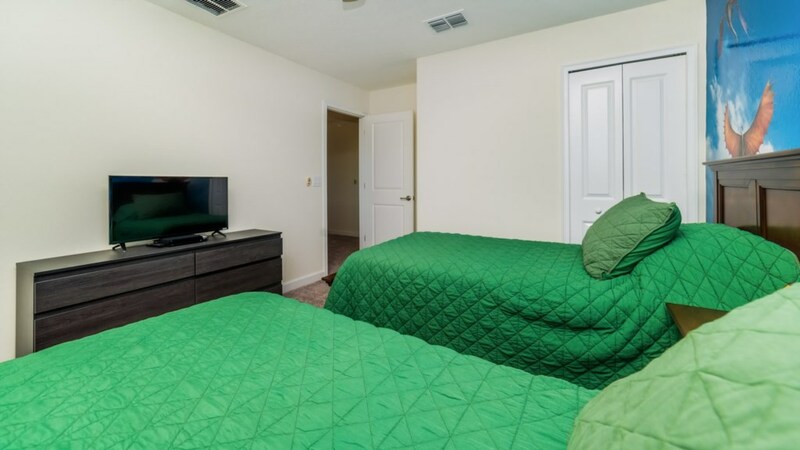 If dry land is more your style, how about some golf, tennis, volleyball or a work-out in the fitness center. 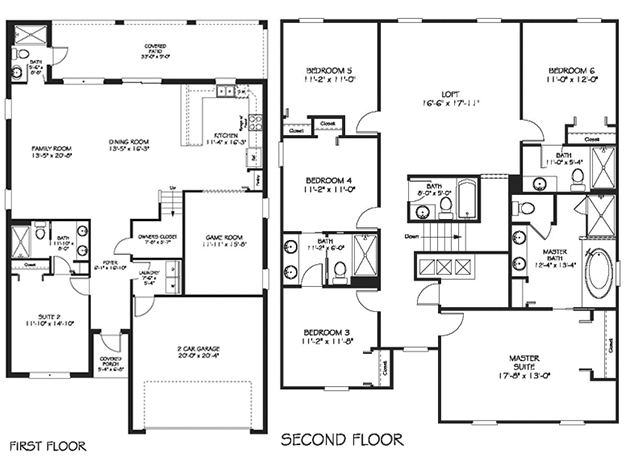 And, just for fun, don’t forget the movie theater and game room. 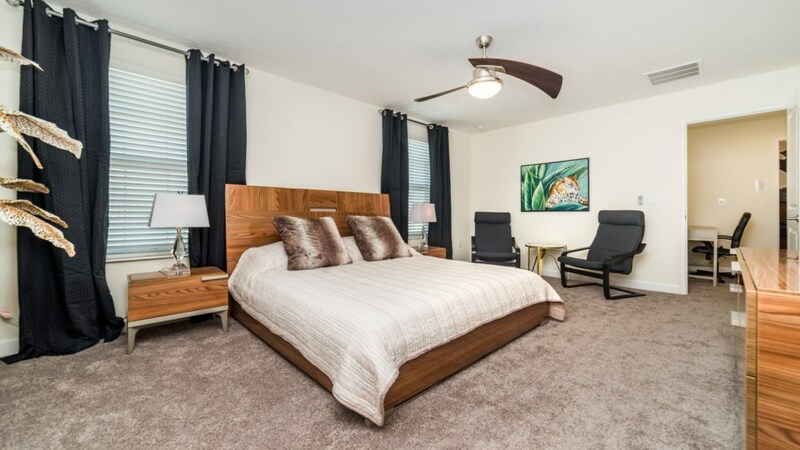 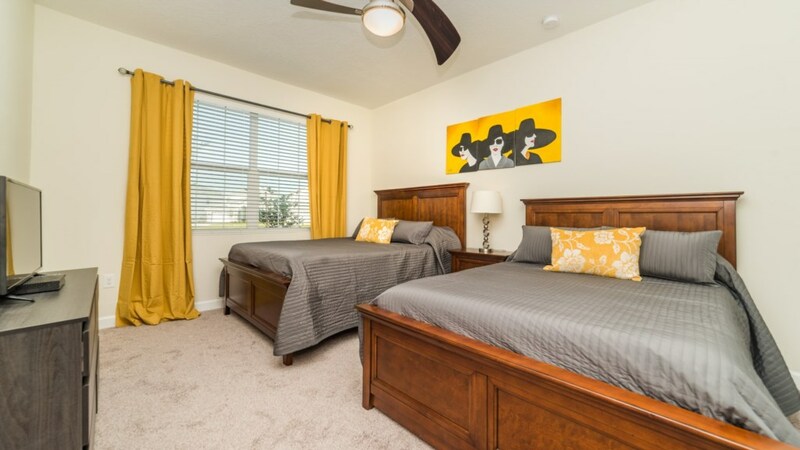 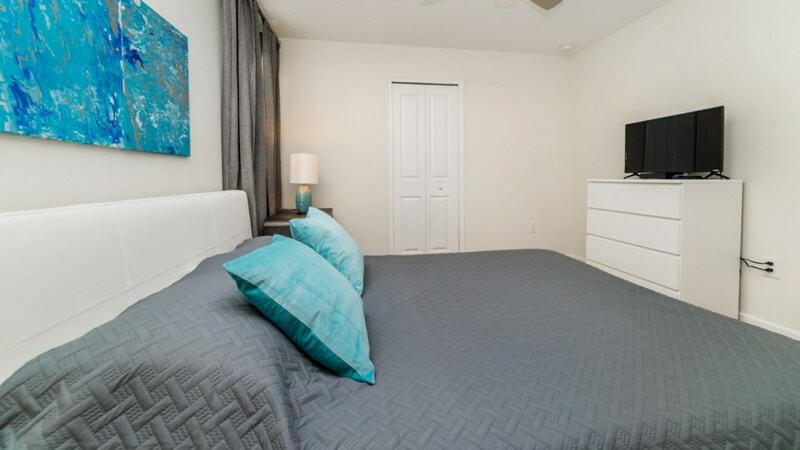 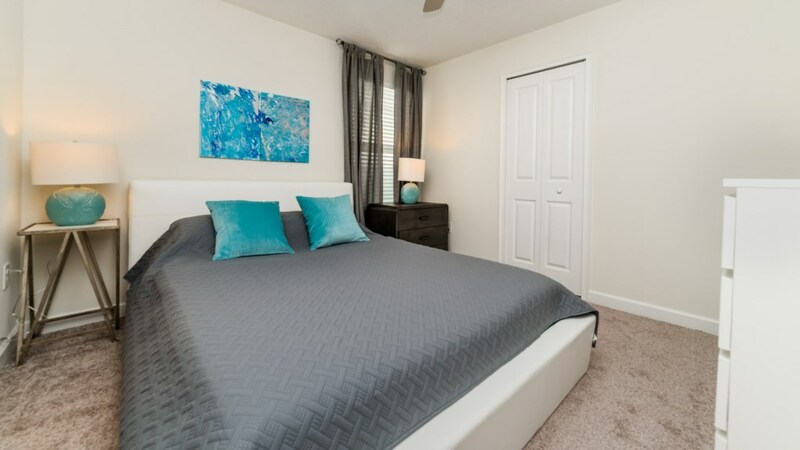 Accommodations in this home sleeps 14 comfortably with 1 king master bedroom, 1 queen bedroom, 3 twin bedrooms and one bedroom with a double and queen bed. 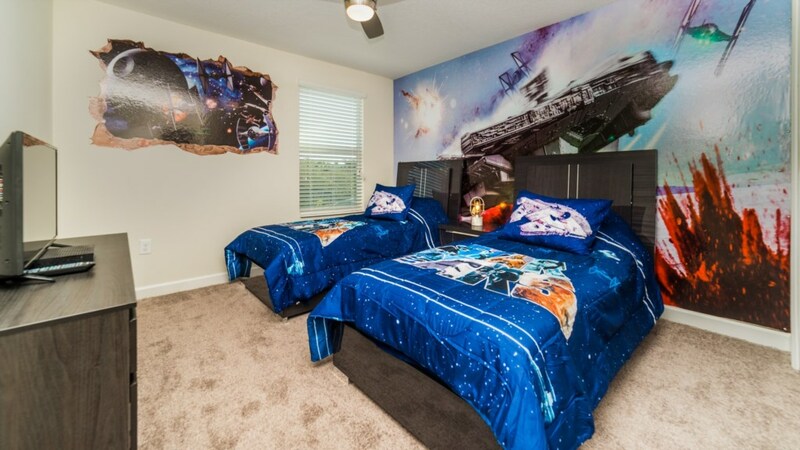 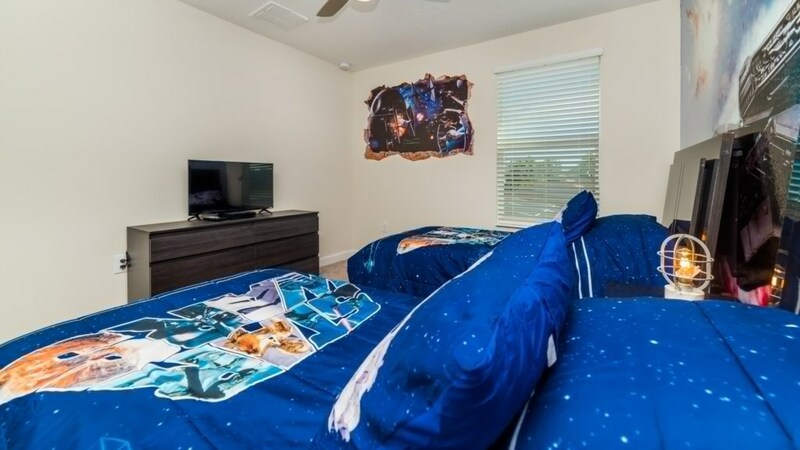 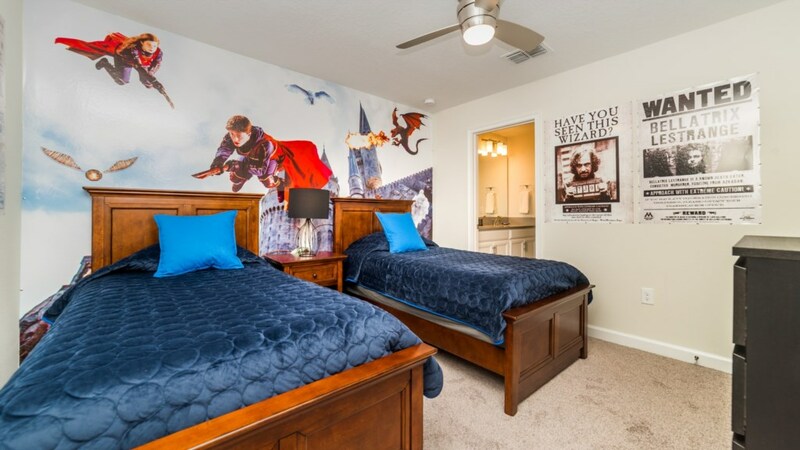 Each have their own TV and the little ones will be thrilled with the Star Wars themed, Harry Potter themed and School of Dragon themed bedrooms. 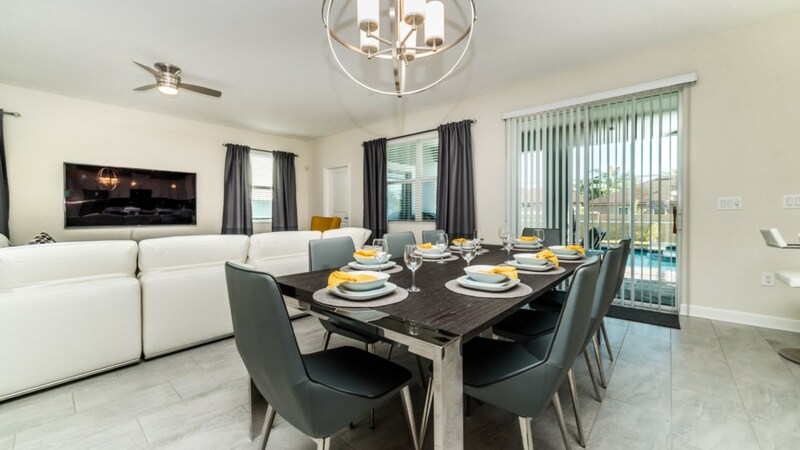 If you are looking to dine in, spacious seating allows dining for 19 easily with 3 bar stools at the kitchen bar, 8 chairs at the dining room table and another 8 chairs at the table off the kitchen area. 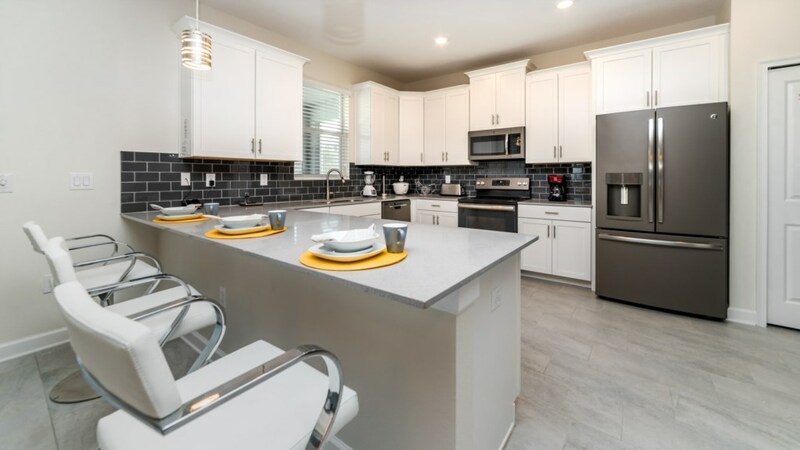 And, speaking of kitchens, this home has plenty of culinary upgrades. 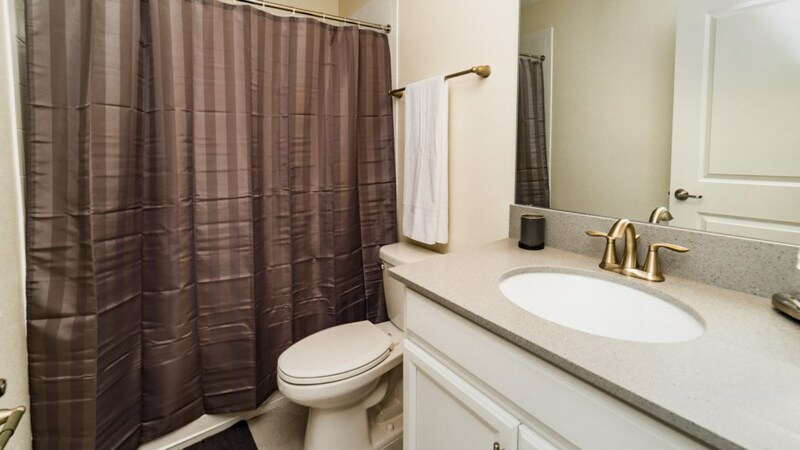 Just check out the photos and see for yourself. 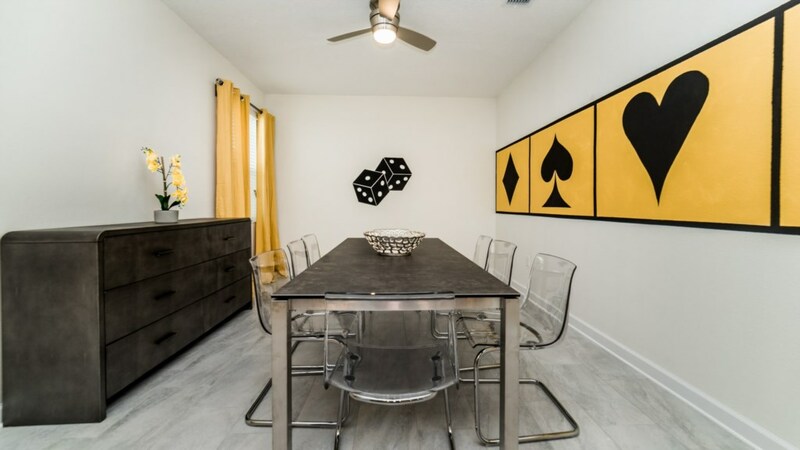 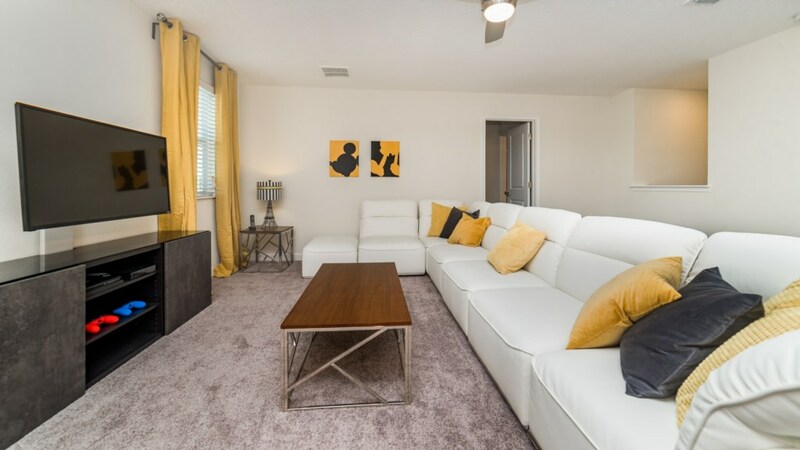 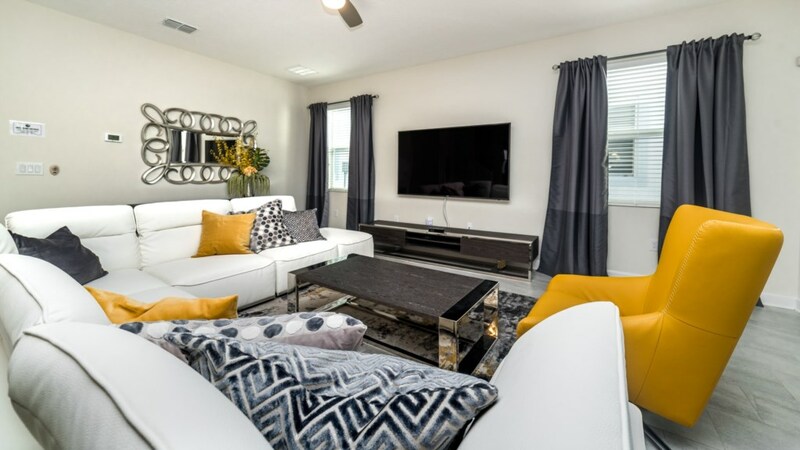 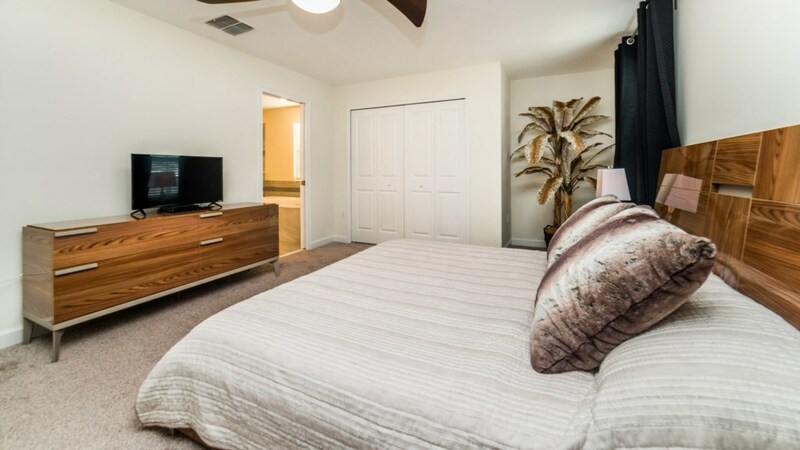 The professional designed contemporary furnishings feature leather furniture throughout, a 75-inch TV in the lower level living room and another 43-inch TV in the upstairs living room. 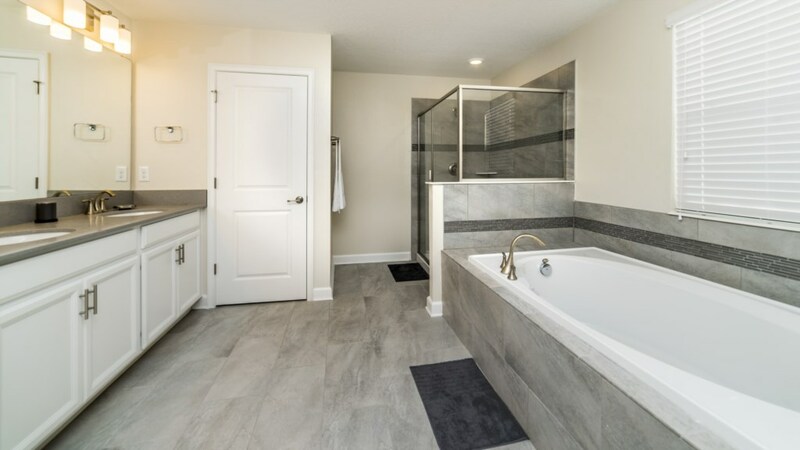 Your personal pool and spa never closes so enjoy to your hearts content. 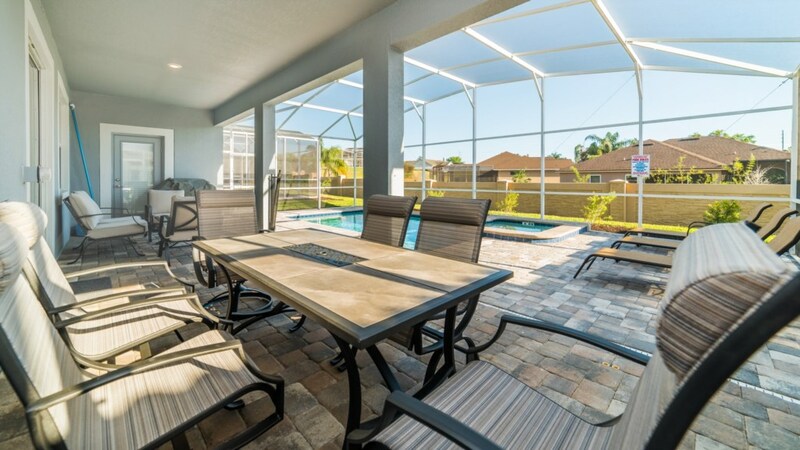 There is plenty of seating poolside for relaxing and dining along with sun loungers to work on that perfect Florida tan. 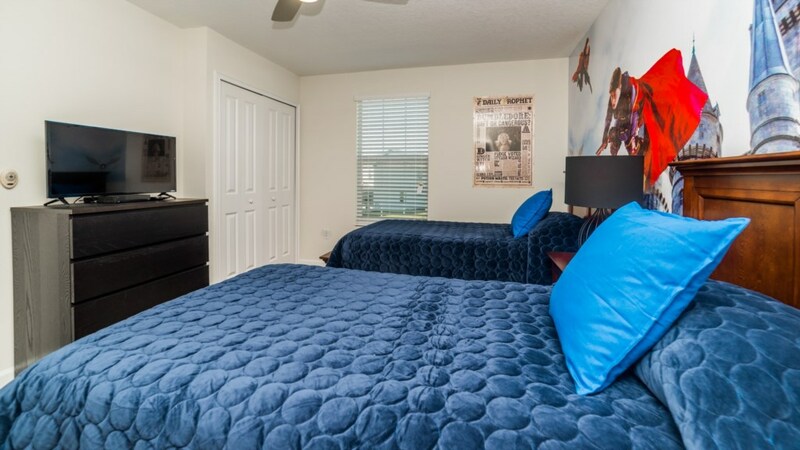 Call us today for your next trip to the Disney area. 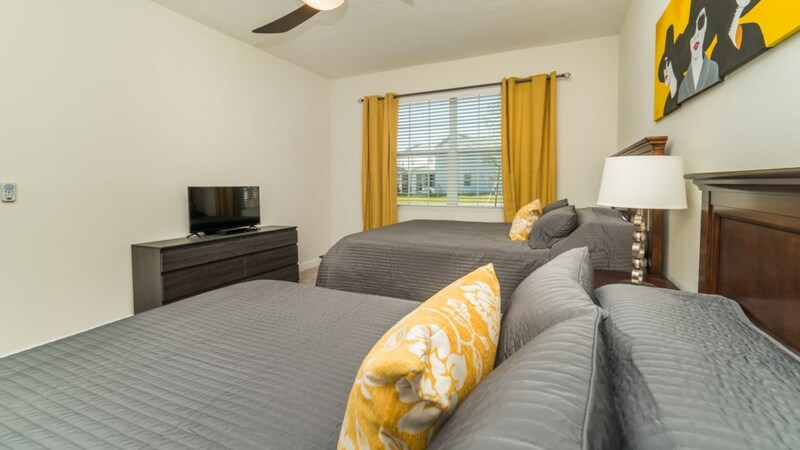 Your perfect accommodations are waiting just for you.